Smith Pivlock V90 replacement lens is a easy way to upgrade your Smith Pivlock V90 frames to the very latest in Smith lens technology, with quick & easy lens interchangeability. Whether you're replacing a well used lens or adding to your quiver of tints for different conditions you have come to the right place, we stock nothing but the best of Smith Pivlock V90 Replacement lens. Go ahead and pick up a Smith replacement lens from Action Sport Optics, a trusted leader in sport & lifestyle optics. 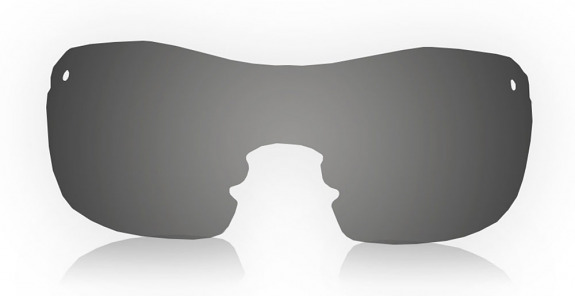 Lens Compatibility: Smith Pivlock V90 Lens is compatible with all Smith Pivlock V90 sunglasses, all interchangeable. TLT Carbonic Lens Information: Smith replacement lens for the Smith Pivlock V90 are TLT Carbonic lenses with unsurpassed impact & scratch resistance. Smith Optics engineered these lenses to be the most impact resistant lenses in the world, Carbonic lenses are optically correct, maximize clarity & offer 100% protection from the suns harmful UV rays. Included With Purchase: A complete Smith set of Smith Pivlock V90 Replacement Lens w protective lens sleeve.